Traditional Samoan arts and crafts is oneof the unique aspects of the country’s culture. However, some of these traditions have been slowly fading away, which is why the Faleapuna’s Women’s Committee initiated the revival of the fala-masi. 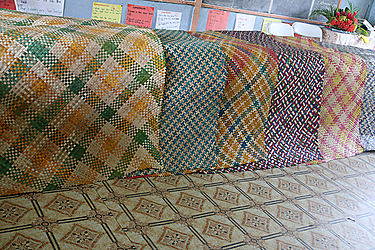 Falamasi is a unique type of mat which is particularly made by the women of Faleapuna. 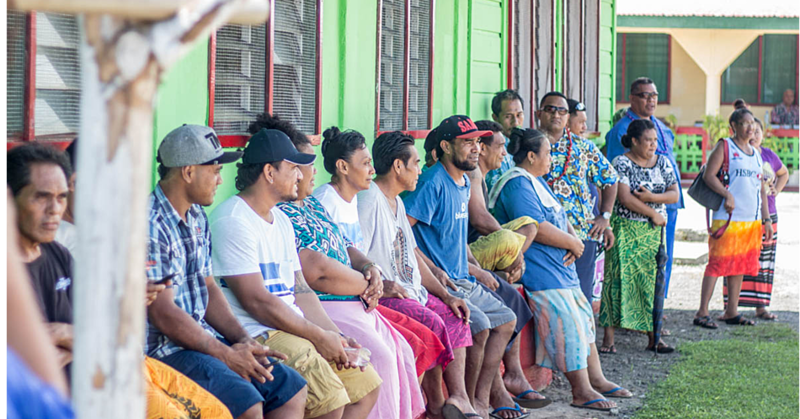 In an interview with the President of the Women’s Committee, Mulipola Anarosa Molio’o, she said that the fala-masi was what made Faleapuna known back in days past. Mulipola articulated that making fala-masi was a leisure pursuit their foremothers used to do when they were still alive. The skills were then passed on down from generation to generation through. However, the women of Faleapuna stopped making fala-masi when the government enforced the making of the traditional Samoan Fine mat [ie sae], said Mulipola. “But it is time to bring back this type of cultural practice which belongs to our village. 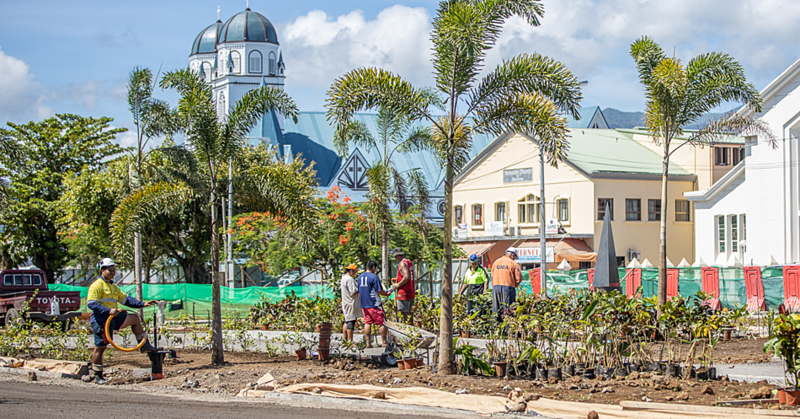 The Faleapuna’s Women’s Committee is in charge of taking care of the primary school and they are now fundraising for their next project which is the erection of their new school building. The fala-masi is a type of mat which looks like the Chinese mat [fala Saina] with traditional Samoan patterns. “The different women in the Women’s Committee come up with their own designs and they are very creative. Therefore we want to encourage our women, young and old to continue on with this kind of work. 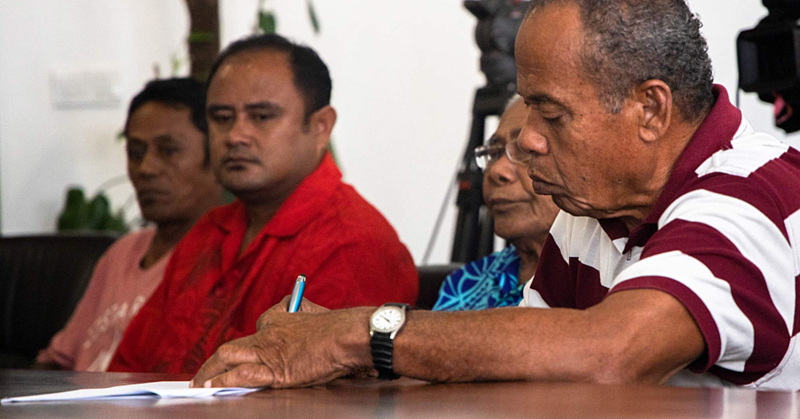 Mulipola said that the main difficulty in making fala-masi is finding the ink for the designs. However, Mulipola said that compared to other traditional fine mats, the fala-masi is very easy to make. “With the experience and skills we can do it in one day and then we have to dry it out in the sun before using it.